This spring at Union Hotels congress guests can enjoy a number of dished with the main ingredient being asparagus, a spring vegetable that has been considered a delicacy since ancient times. 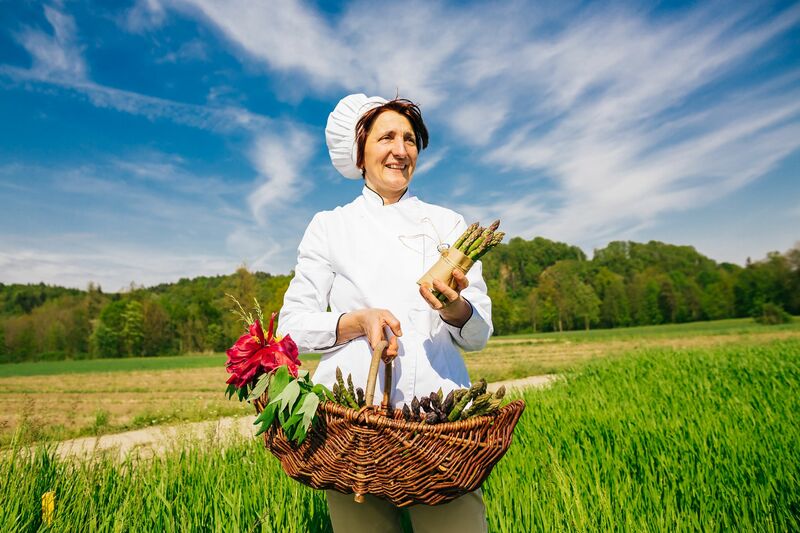 In order to serve their guests fresh and locally produced food, Union Hotels have rented their own asparagus patch located at the Ramovš agritourism farm. Learn the recipe for the popular Union’s Asparagus Hopel-Popel and try to prepare this delicious congress dish at home. In recent years, many lovers of good food have grown increasingly fond of asparagus, which is now considered a true delicacy and is also extremely popular with congress guests from all over the world. In order for Union Hotels to meet their own needs as far as the supply of asparagus is concerned, they have opted for integrated production of this spring vegetable, which is, due to the rare attempts at home growing, greatly valued both in Slovenia and elsewhere. In addition to the vegetable’s first-class quality, another advantage of this type of asparagus cultivation is that asparagus can be served to their guests on the same day it is harvested. In fact, on the very same day, the Ramovš farm delivers asparagus to Union Hotel’s central kitchen, where their chefs lovingly turn it into countless different dishes. Especially popular is Union’s Asparagus Hopel-Popel and here is what you need to prepare this simple but delicious dish. Salt, pepper, a tbsp of chives. Boil the potatoes, peel them and cut them into slices. Slice the bacon, pan-fry it using the fat and then add the sliced sausage, onions and asparagus. Pay-fry it all for a little while, add the potatoes, season it and pour the whisked eggs combined with a little milk and maize flour over all of the other ingredients in the pan. Give it a slow stir and wait until the eggs are cooked. Hopel-Popel is very filling and can be eaten as a main dish with a salad on the side.